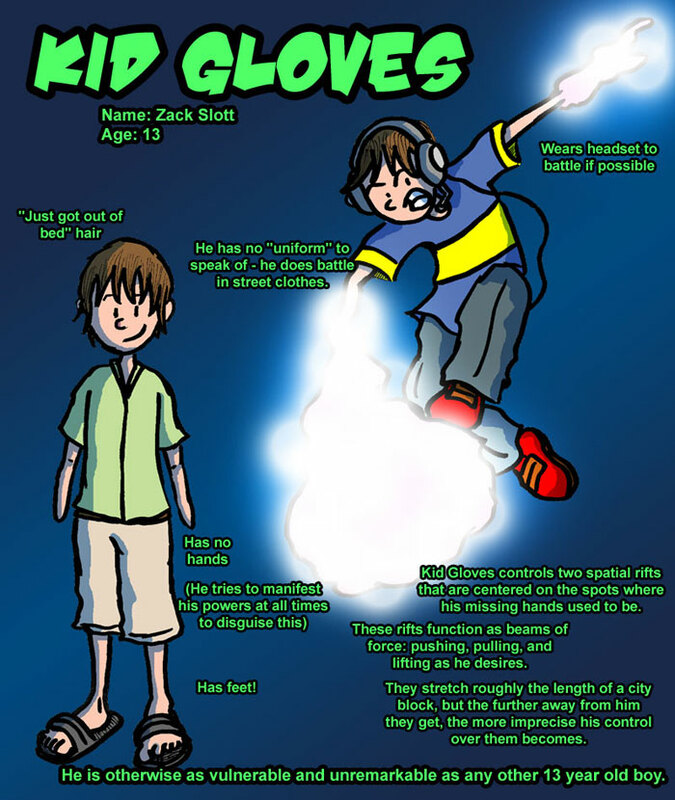 Bio: After accidentally plunging his hands into his father's secret dimension-bending science experiment, Zack Slott became the reluctant new owner of a pair of prehensile spatial rifts. This amazing power, however, came at the expense of his real hands. Ever the optimist, Zack fired up his digital recorder and ventured out into the alleys of Void City, starting the world's first live superheroic battle narration podcast! Going by the name "Kid Gloves," he launches himself around the city, looking for opponents.